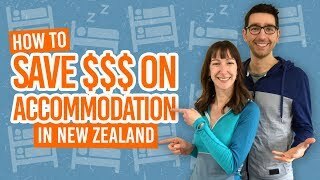 Backpackers’ guide to setting up a bank account in New Zealand. Setting up your own bank account in New Zealand makes paying for stuff, not to mention getting paid, all the more easier! It’s essential especially when on a working holiday in New Zealand and we guess you already know that! So with that in mind, here’s how to set up a new bank account in New Zealand! This guide to setting up a bank account will go over all the steps from choosing a bank to transferring money to your new bank account. We’ll also give you tips on what you need to open a bank account, as well as what to expect from your bank appointment. However, if you are new to this whole “spending money in New Zealand” then take a look at this guide to using EFTPOS and New Zealand currency. First thing’s first you need to choose someone to bank with in New Zealand. As a backpacker wanting to save as much money as possible, you might want to bank with a company that has no fees. Or you might be drawn to more ethical banking like a co-operative. Plus, unlike when choosing a bank at home where you are more likely to look for higher interest rates for savings accounts, in New Zealand as a backpacker, it’s best to focus more on the practical uses of a bank. We give more details on the three biggest banks in New Zealand here, but here is a quick mention of the different banks in New Zealand. All of the banks listed below have the price of their standard bank accounts which access to online banking and a debit EFTPOS card so you can pay electronically in stores and online. Unfortunately, if you are on a working holiday in New Zealand you can’t open a bank account before arriving in New Zealand. Once you arrive in New Zealand, find out where the nearest branch of your chosen bank is and find out how to get there. Then book your bank appointment. Booking an appointment with a New Zealand bank can either be done over the phone or in a branch of your chosen bank. They will usually tell you what you need to bring to the bank appointment (but we’ll tell you more on that in the next section). If you have arrived in one of the busy city centres, like Auckland, and can’t get a bank appointment as soon as you hoped, try seeing if there is any availability in one of the suburb branches. It might mean a short bus or train ride, but it will be worth it if you want to set up your bank account as soon as possible. This is a pretty standard requirement and can be tricky for backpackers to obtain since it has to be a New Zealand address. 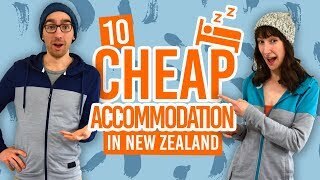 Nevertheless, it’s Ok to use any New Zealand physical address, so an easy way around this is to use the address of the hostel you are staying in. Always ask the hostel first though. You can always change this address later. This goes by different names depending on what country you are from, for example, national identity, social security, personal or tax number. Some banks check your work visa or working holiday visa, so have a printed copy or show them the visa if physically printed in your passport. To find out how to print a working holiday visa, follow this guide. For your bank appointment, take the item mentioned above with you and report to the front desk of the branch you made the appointment with. You will then see a banker who will basically be filling out a form on the computer while asking for your personal details, as well as see your passport, tax identification number, etc. Toward the end of you bank appointment, you will either be given a debit card where you will be asked to assign a pin number to, or you debit card will be available in a few days time to either pick up in the branch or have mailed to you. If you want to apply for an IRD number as soon as possible, then ask the banker to write a letter stating that your bank account is fully functional”, or “it is an active bank account”, or “the bank account has had due diligence completed in accordance with the Anti-Money Laundering and Countering Financing of Terrorism Act 2009”. This will be sufficient evidence to apply for your IRD number (tax number for working in New Zealand). However, if you are not in a rush, providing a simple bank statement once you have had some activity on the account will also be sufficient evidence for IRD. Congratulations, you have now opened a new bank account in New Zealand! But it’s not much use without some money on it. If you have cash, it will be easy to deposit it at the bank branch. Then, it’s likely that you’ll want to transfer some money from your bank account back home. There are several methods of transferring money from your overseas bank account to your new bank account in New Zealand. However, they vary a lot in cost and time taken for the transfer to go through. For this reason, we have compared the different methods in How to Transfer Money to Your New Zealand Bank Account.